The town of Parry Sound is located 2 hours north of Toronto on the shores of Georgian Bay and is considered the jewel of the famous 30,000 Islands. It has a year round population of 18,000 but due to its popularity as a prime cottage and camping area, the population in the summer swells to over 60,000 seasonally. Covering the region to the east of Georgian Bay, the Parry Sound area stretches from Honey Harbour in the south to Killarney in the north. Tourism, being the lifeblood of the Parry Sound region, is the main source of employment. Searching cottages for sale in the Parry Sound area is the busiest in the spring and fall season but is steady mid summer too. The number of listings an range from around 300 properties mid winter to over 1000 properties in the summer. The larger waterways like Lake Joseph, Whitefish, Otter and Ahmic and very popular. Georgian Bay real estate itself tends to attract many people especially those looking for unlimited boating and sailing opportunities. There are just over 80 Parry Sound Realtors that cover the region as well as other realtors from other areas. 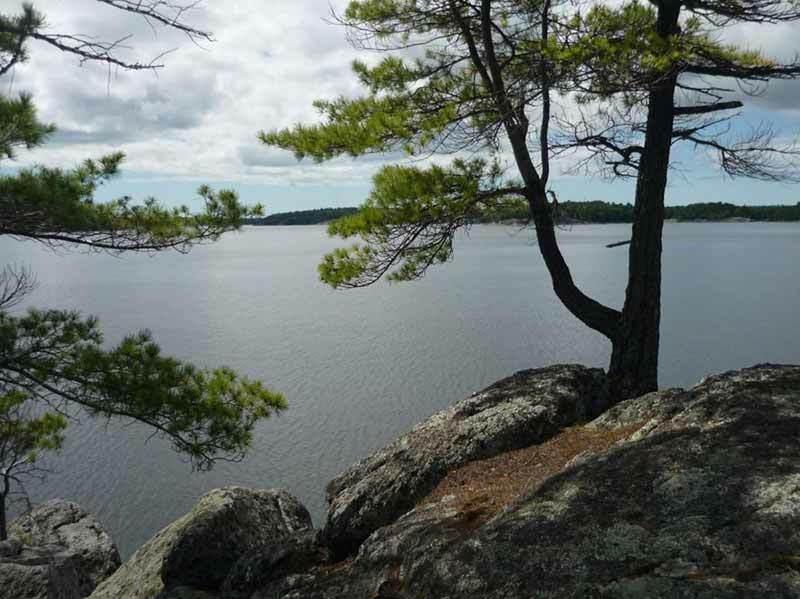 There are many popular provincial parks in the Parry Sound area including Massasauga, Killbear Park, French River and Killarney as well as the Georgian Bay National Park. This gives visitors incredible opportunities for hiking, camping, canoeing and kayaking and to see the amazing scenery that Muskoka area has to offer. Many of these campgounds fill up early so it's always a good idea to book early in the season to ensure you get in. Many of them also offer various programs for kids. Within the District of Parry Sound the communities of Honey Harbour, MacTier, Parry Sound, Snug Harbour, Pointe au Baril, Bayfield Inlet, Byng Inlet, Britt and Killarney which are very popular and dot the rocky Canadian Shield shoreline, ready for exploring. Along with Georgian Bay, the many inland lakes and rivers are very popular for cottagers and campers alike. Some of the larger lakes include Otter Lake, Mill Lake, Big and Little Whitefish Lake, Lake Manitouwabing, Clear Lake, Lorimer Lake, Rankin Lake, Blackstone and Crane Lakes as well as countless smaller ones. The Magnetawan river, begining in Algonquin Park, runs through the north of the District and empties into Georgian Bay near Britt. This vast array of lakes and rivers make it a great area for canoers and kayakers alike. The Parry Sound Real Estate Market has been very stable over the years without the large swings in prices witnessed in the Southern part of the Muskoka district. A sizable part of the real estate for sale is waterfront cottages on both Georgian Bay and the inland lakes which helps diversify the market over strictly residential areas. The average home price in Parry Sound as of July 2016 is around $344,000.00 and for waterfront real estate, the price of cottage has averaged just over $410,000. There were 609 active residential listings on the Parry Sound Real Estate's Association’s MLS® System at the end of July, 2016, down from the same time a year earlier. According to Crea there was 14.5 months of inventory at the end of June 2013. This was down from 9.1 months reported at the end of July, 2016. The number of months of inventory is calculated by the number of months it would take to sell current inventories at the current rate of sales activity. To search for current Parry Sound area cottages and waterfront for sale click here.